How Do I Handle A Charged Off Debt? Sometimes when a person owes a debt, the company or business the debt is owed to may decide to “charge off” the debt. The person who owes the debt, the debtor, may not understand what it means for a debt to be charged off, and whether the company can continue to try and collect on a charged off debt. Not understanding a charge off can lead to the debtor negotiating incorrectly with the creditor, or taking other steps that are disadvantageous to the debtor. A company charges off a debt primarily to write it off as a loss in its books. The company then reports the charge off on the debtor’s credit report. This is considered a negative mark and the charge off remains on the person’s credit report for seven years. The charge off does not mean that the debt is forgiven or no longer viable. The debtor still owes the debt and the creditor can keep trying to collect it. In most cases, when the debt is charged off, the original creditor also sells it off to a debt collection company for pennies on the dollar. This means that the company that ends up hounding the debtor to pay the charged off debt is a different company. While the debtor can usually try to negotiate to have the debt not be reported as charged off, or removed from the credit report, this negotiation works better if it is with the original creditor. The original creditor holds the power to report the status of the charged off debt. However, even when negotiating with the creditor, remember that when the charged off debt is reported as paid, it doesn’t remove the charge off notation from the credit report. The debt will be reported as a paid charge off debt. There are ways in which a creditor can remove or re-characterize a charge off in order to remove it from a person’s credit report. If this is the outcome the debtor is going for, he needs to ensure that all negotiated agreements are in writing and reviewed by an attorney. Paying on a charged off debt will add positive information to the credit report, as will continued payments on other accounts, which will all eventually help raise the person’s credit score. However, it is better to hold on paying some charged off debts, for example if the debt is old and past the statute of limitations, or if the debt is disputed. 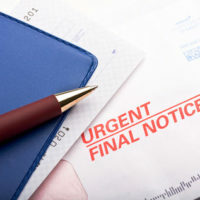 If a debt collector offers to settle on a charged off debt and remove the information from the debtor’s credit report, the debtor should be careful. The debtor should consult an attorney to ensure that any offers to settle are legitimate, that the debt collector owns the debt, and can actually do something about the information on the credit report. If you are being harassed by a debt collector, the law does give you some protection against the harassment. To find out how you can fight back against the debt collectors, contact Louis S. Schwartz and his team at ConsumerLaw Pa.com.